With more than 20 years of experience in the real estate financial services industry, Thomas Engwer started his career with a National Bank that provided him with a strong background in credit analysis and customer service. Promoted to numerous positions within the retail and commercial banking channels, he then was recruited by a locally owned Escrow Company to assist in developing and implementing a comprehensive sales program that enabled them to become a leader in their field. Tom obtained his Real Estate Sales License in 1991 and began assisting the Real Estate community in obtaining new home purchase, construction to permanent and remodel financing. In 1997, Tom obtained his Real Estate Brokers License and went on to own, manage and operate his own Mortgage Company – Sierra View Mortgage. He has recently joined Mason-McDuffie Mortgage as a Senior Mortgage Consultant and Branch Manager of their Roseville Office, specializing in integrating client's mortgage needs into their financial plan. In his community, he serves as a Director / Board member for the Placer Aquatics Club, and is an active member of the Point West Rotary. He has also served on the Board of the Granite Bay High School Aquatics Club and is a past member of the Sacramento Active 20/30 Club. Having the proper mortgage in place is one of the most important elements to one’s financial plan. Why trust those crucial decisions to chance? You need a Personal Mortgage Consultant that understands that each client is different with unique goals that deserve the specialized attention to ensure you get the right mortgage that meets your financial objectives – both now and into the future. This professional should also have the dedication, perseverance and integrity to focus on what is best for your bottom line, not their own. That is where Tom can help. 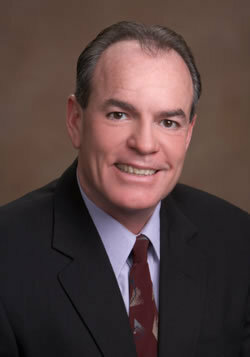 He is one of Sacramento Area’s leading mortgage consultants. Helping people like you isn’t his job; it’s his passion and commitment. Whether you’re in the market for a home loan or are in need of refinancing, Tom knows what it takes to pull it all together for your financial success. Call Tom today so he can outline your financing options and tailor a plan that best fits your needs and objectives.